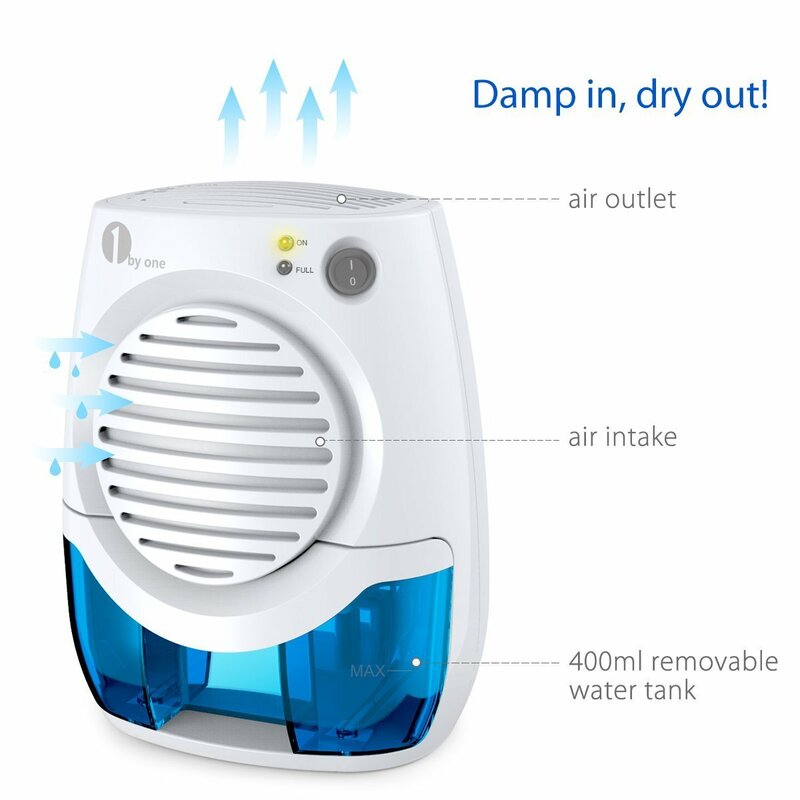 What exactly does a dehumidifier do? As you may have guessed by now, a dehumidifier decreases the humidity in the air by getting rid of excess moisture. This provides a healthier environment free from allergens, mildew and dust mites. There are a few different types of dehumidifiers but we’re going to see how thermo-electric humidifiers work. Simply put, these dehumidifiers convert electricity into a temperature difference using the ‘Peltier effect’ also known as the thermoelectric effect. The warm and moist air is pulled into the dehumidifier where it comes into contact with the cold side of the Peltier module which condenses and collects the moisture in a tank. The same air then meets the hot side of the module where the air is re-heated and sent back out minus the moisture. 1. No mold and mildew: A damp and moist environment is prone to getting all kinds of mold. To tackle this problem, the humidity levels must be reduced which is easily done by a dehumidifier. 2. Eliminate bad smell: With excess moisture comes the damp and musty odor that is bound to annoy and irritate anyone. But once you take away the humidity, the smell goes away too! 3. Helps against allergies: Dust mites thrive in high levels of humidity so it’s no surprise if you’ve been sneezing like crazy in such weather conditions. Still, it shouldn’t mean you should suffer anymore. That’s where a humidifier will make things more comfortable. 4. Safeguard your furniture: Not many of us are aware of the disadvantages that humidity has on our wooden furniture. However, the excess moisture and condensation can damage the wood leaving it to rot. 5. A healthier environment: From reducing allergies and irritations to getting rid of bugs and odor, having a dehumidifier will promote better health and well-being and bring about a noticeable change. 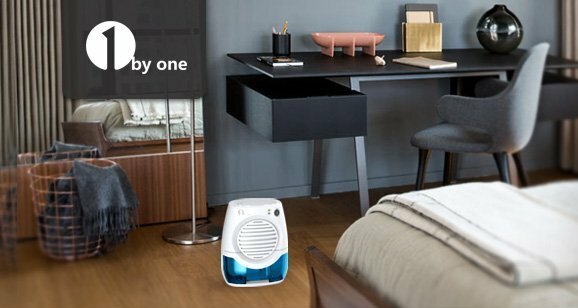 1byone 400ml Electric Mini Dehumidifier saves you from the struggle of dealing with damp and humid surroundings. 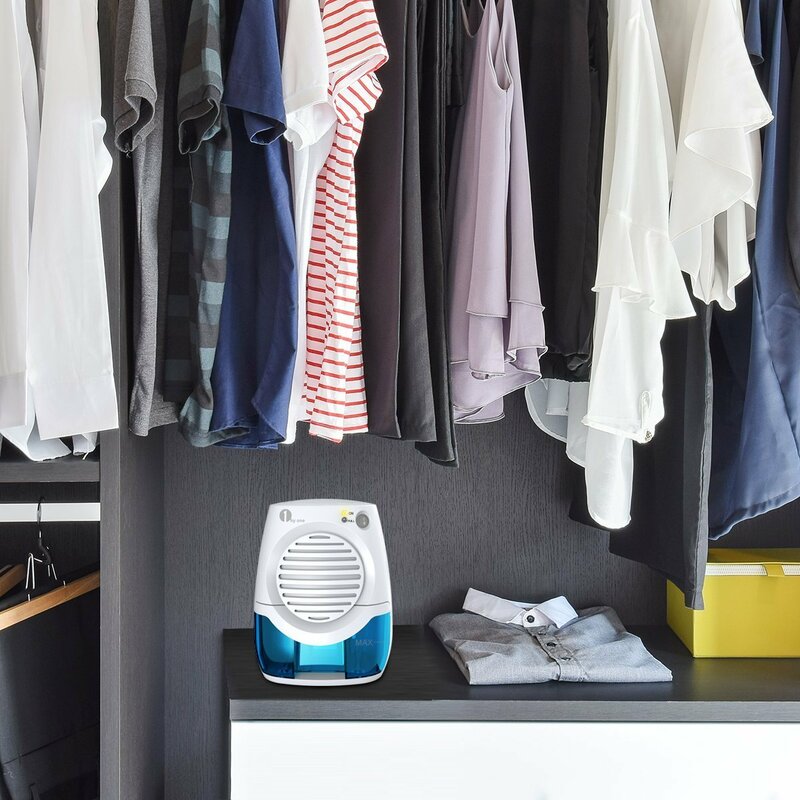 1byone’s mini dehumidifier will fit just about anywhere thanks to its compact size and is ideal for small rooms and spaces. You can place it in your closet, bathroom, and garage or leave it in your bedroom and be sure that it will draw out all the excess moisture in a short amount of time. One great thing about this device is that you can turn it on and forget about it till it fills up! Once the removable tank is filled up to its maximum capacity, the dehumidifier shuts off automatically on its own so you won’t have to constantly keep checking on it. Compared to other dehumidifiers, you’ll find this one to be very quiet causing no disturbance. This is mainly due to the fact that there are no compressors and hence it barely makes any noise. To turn on the dehumidifier all you need to do is press the On/Off button. You can then choose to manually turn it off or let it automatically switch off on its own once the tank has filled up. The tank itself is removable with a capacity of 400ml and you can take it out and empty it easily.